Granadilla Swimwear has taken the online and retail fashion space by storm. Inspired by Cape Town’s Summer beach anthem “Ice-cream, cole drink, granadilla lolly” two entrepreneurs had an ‘AHA’ moment and a brand was born. Amanzi chatted to Josh Meltz and Adam Duxbury, the dynamic duo behind the fruity, colourful and funky Granadilla brand. Adam and Josh set out to create a proudly South African swimwear label that uplifts creatives locally. And they seem to be getting it spot on. They were recently listed on Superbalist.com’s list of 100 South African entrepreneurs and change-makers. They will also be donating 5% of their profits to charitable causes helping to promote entrepreneurship in South Africa. They also have a selection of local Brand Ambassadors that range from cricket players to comedians. And (naturally) they only have good things to say about their ‘rocking’ Granadilla threads. We explored a little further and discovered the Granadilla Swimming Academy. And now we love these guys even more. This vibrant team created the Academy in partnership with its inspirational leader, Arafat Gatabazi. South Africa boasts a gorgeous coastline of 2,000km and a host of Olympic swimmers, yet only 15% of South African’s can swim. Some of us take swimming for granted, while for others the ocean can be dangerous. Every Thursday they meet at a local pool, put on their Granadillas and have some serious fun. Initially the focus is on survival. Once kids are confident, they can then go onto enjoy water sports like surfing. For the strongest swimmers, their goal is to have them swimming competitively. And their forte, is open water swimming. Arafat, the Academy leader, was named the 2014 Open Water Swimmer of the Year by the Cape Long Distance Swimming Association. He has completed the 7.5km 10 °C Robben Island Swim several times, and is currently training kids from their Academy to follow in his footsteps. Are you both entrepreneurs by nature? What are your backgrounds? Josh: I’d like to think so. This is my second business, the first one was a promotions company in Edinburgh while I was a student. Adam: Not at all! I have a background in Management Consulting and a degree in Economics. Both: In the back seat of a car on the way to a December holiday in Plettenberg Bay. 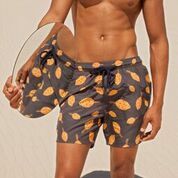 What was the inspiration behind Granadilla Swimwear? Josh: The entrepreneurial spirit of the lolly sellers on Clifton beach. 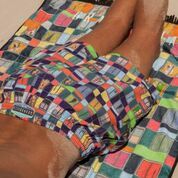 Adam: A gap in the market for bright coloured men’s swimwear in South Africa and an interest in the online space. What lessons have you learnt from the entrepreneurial space? Josh: Retail is tough. Fashion retail is tougher. Adam: The retail game is tough. Make sure you have a measurable competitive advantage if you want to be able to compete with the big guys. Josh: High energy, loud music and a lot of shorts. What are your favourite pastimes when you are not working? Josh: Surfing, yoga and road trips. What are your mantras in life? Adam: Be thankful, not sorry. What’s next for Granadilla Swimwear? Both: BIKINIS!!!! And splashing into the EU market. We can’t wait to see the bikini range and wish the Granadillas all the success they deserve in the European Market. 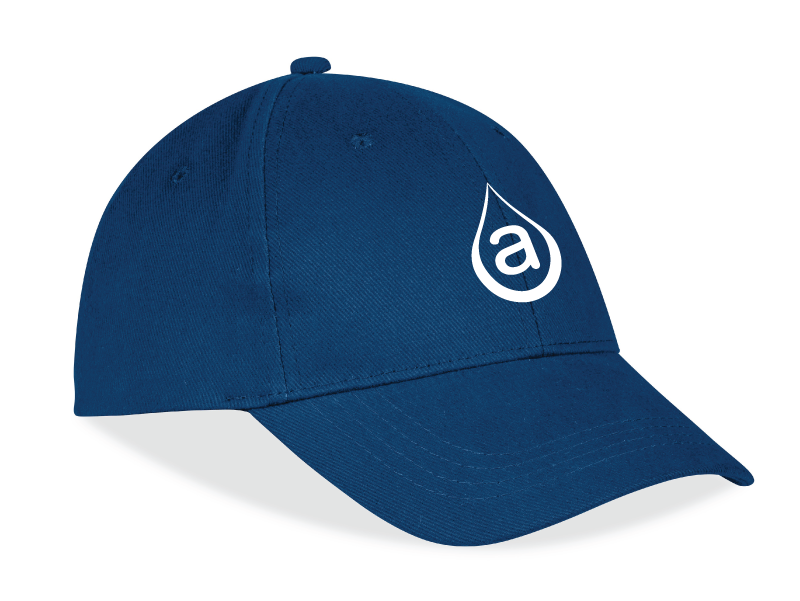 STAND A CHANCE to win an awesome *AmanziMag* cap. Like us on Facebook ,Tag 5 Friends on the Granadilla Post.